An international team of researchers has concluded an in-depth genetic analysis of the octopus, and some say their just-released findings present deep problems for the theory of evolution. The octopus has long been recognized as one of Earth’s most unusual creatures. Its intelligence, dexterity, and complexity are unparalleled among invertebrates. And, until last year, scientists had never fully mapped the genome of the octopus, so the eight-armed creature’s full genetic code remained a mystery. Finally, in a journal article published in Nature this month, an international team of researchers from the U.S., Germany, and Japan describe the genetic composition of one octopus species—the California two-spot octopus. The researchers’ findings were full of surprises. For example, the scientists documented a total of 33,638 protein-coding genes in the octopus genome, which is about 10,000 more genes than found on the human genome. The analysis also revealed “hundreds of cephalopod-specific genes” that are specific to the octopus family and not found in any other creatures. In the journal article, the scientists described the octopus and other cephalopods as “remarkably sophisticated,” with a plethora of advanced features. Did the highly-advanced octopus evolve from other species? Compared to creatures purported to be in its evolutionary lineage, such as mollusks, the octopus is much more complex and intelligent—extraordinarily dissimilar from anything else. “Soft-bodied cephalopods such as the octopus show remarkable morphological departures from the basic molluscan body plan, including dexterous arms lined with hundreds of suckers that function as specialized tactile and chemosensory organs, and an elaborate chromatophore system under direct neural control that enables rapid changes in appearance,” the researchers explain in their journal article. “The octopus nervous system is vastly modified in size and organization relative to other molluscs,” they added. Other scientists remain unconvinced that Darwinian evolution can even account for the octopus. 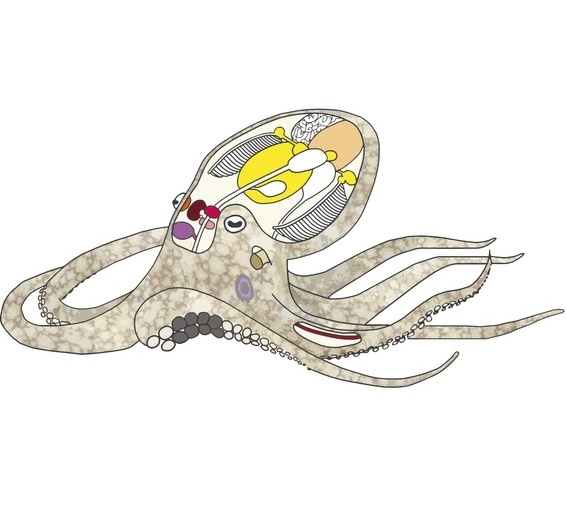 In an article published on Friday, scientists at the non-profit Discovery Institute argued that this recent octopus research shows how evolutionists struggle to make sense of these eight-armed enigmas. Astonishingly complex creatures like the octopus do not back up evolution, the Discovery Institute argues. Rather, they point to something else: design.